Who says a multitool has to be some monstrous device overflowing with foldout blades and screwdrivers that's too large to comfortably carry in your pocket? The Portland-based design team at Industry takes a less is more approach with this pair of Solid: Series One tools that can be used however you want—and should survive any task, since they're made from solid titanium. That's right: You can now harness the same material used to build fighter jets to pop off bottle caps or slash open FedEx boxes. 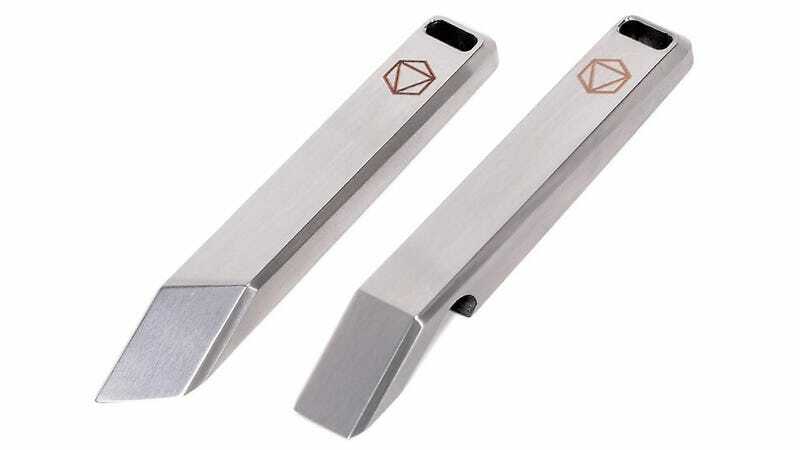 The flat edge of the cutting tool will stay sharp even after years and years of cutting, prying, or scraping, and both of these tools are designed to hang off your keychain without you feeling them, since titanium is so incredibly lightweight.